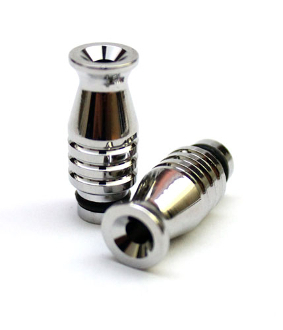 These shiny metal aluminum drip tips are fashionable mouth piece replacements for 510 Clearomizers. They also work with the BCC and ViVi Nova Clearomizers and the K101 MOD Atomizers. Customize your clearomizers with these fashionable metal drip tips to personalize your vaping tools.